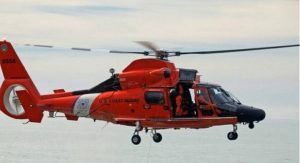 The U.S. Coast Guard has suspended the search for a fisherman who fell overboard in Ugashik Bay, 190 miles west of Kodiak, Alaska. Watchstanders at Coast Guard 17th District Command Center received an urgent marine information broadcast on Thursday, July 19th at approximately 4:27p.m. from the F/V CAPE GREIG, that a crewmember had fallen overboard. 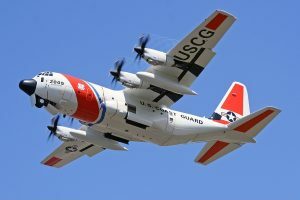 An Air Station Kodiak Jayhawk aircrew was immediately dispatched to conduct a search in addition to a Coast Guard Air Station Kodiak HC-130 Hercules aircraft, which was diverted to the scene. Nine good Samaritan vessels joined the search and covered over 13-square miles along the shoreline of Ugashik Bay as well as upriver, in an effort to locate the missing fisherman. The North Coast commercial crab season is off to an arduous start, as the U.S. Coast Guard oversaw two search-and-rescue missions this weekend. The search for one missing crabber who fell overboard has sadly been suspended. Shortly after 1 a.m. on Sunday, February 4th, two crew members who were tending crab pots on the Chief Joseph fell overboard. The vessel was approximately eight miles south of the South Spit in Humboldt Bay when the accident occurred. The captain successfully pulled one fisherman back aboard but was unable to locate the other crewmember. First on the scene was an MH-65 Dolphin helicopter crew from Air Station Humboldt Bay followed by a 47-foot Motor Lifeboat crew from Station Humboldt Bay. Approximately an hour later, a C-27 Spartan fixed-wing aircraft from Air Station Sacramento arrived, and the area was combed until the search was suspended at approximately 1:15 p.m. The Seattle Fire Department was called to Magnuson Park this morning after receiving word that a 17-year-old boy had gone underwater. Spokeswoman Kristin Tinsley reported that a water rescue team arrived at the 7800 block of 62nd Avenue Northeast around 9:33 am. Tinsley said that the teen had been taking a class at Sail Sand Point when some sort of mishap caused him to go underwater. Several people involved with the class as well as a responding police officer worked to pull the teen from the water just before the fire department arrived. He was taken to Seattle Children’s Hospital in critical condition after spending six minutes underwater. WARRENTON, Ore. – Five commercial fishermen were rescued from the water after their fishing vessel STAR KING, a 55-foot stern trawler, capsized and sank near the mouth of the Columbia River early Saturday morning. Crewmembers were pulled from the water by good Samaritan fishing vessel SEA BALLAD, then transferred to the Coast Guard 47-foot Motor Life Boat. The STAR KING crew were then transported to Ilwaco, Washington by Coast Guard personnel. No crewmembers required medical attention. Watchstanders at the Sector Columbia River command center received the first mayday call at 4:31 a.m. It was reported that the vessel was taking on water and listing hard to starboard before capsizing and sending all five fishermen into the water. All crewmembers were accounted for by 5:10 a.m. Sadly, stories are rolling in of boats foundering and sinking with crewmembers thrown into frigid winter waters. The Coast Guard and Good Samaritan vessels courageously assist as many survivors as possible, but the 1-10-1 Principle can help you survive until a boat or helicopter arrives. All of the following time averages are dependent upon the temperature of the water and condition of the victim. 1 – 10 – 1 represent crucial time periods after you hit the water. 1: During the first minute, Cold Shock will set in, including gasping and hyperventilation. You must get your breathing under control and gain an awareness of your situation. Panic will dramatically decrease your chance of survival. This morning, about 10 miles northwest of Unimak Island, Alaska, a man went into the water off 98-foot, Newport, Oregon-based SEEKER. According to reports, the crew aboard Good Samaritan trawler-processor SEAFREEZE ALASKA contacted the Coast Guard asking for help searching for the man. 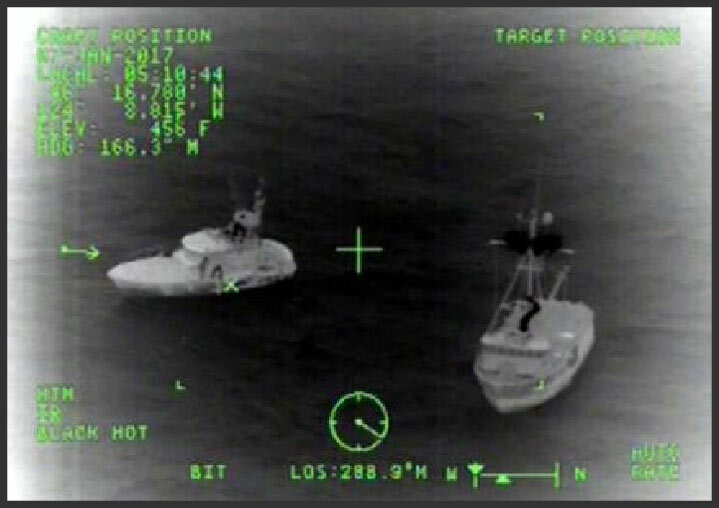 A number of other Good Samaritan vessel crews and Coast Guard helicopter crews joined in the effort immediately, with the Coast Guard Cutter Alex Haley crew arriving to assist during the afternoon. At the time the seas were 10 feet with winds of 35mph. The missing man is said to be Eric Eder of Waldport, Oregon, a husband and father of young children. How he went into the water has not yet been released and is under investigation. Our hearts go out to his family and friends. Sadly, one of the crew of 964-foot cruise ship CELEBRITY CONSTELLATION went overboard in the Caribbean Sea near the Yukatan Channel at around 2:30 a.m. yesterday. His absence was not discovered or investigated until after 10:30 a.m. During those eight hours, CELEBRITY CONSTELLATION continued her route from Cozumel, Mexico, toward Port Everglades, Florida. Apparently, closed-circuit cameras were reviewed only after a pair of shoes was discovered next to a deck railing; the video footage revealed a person going overboard. The ship crew were then able to calculate where this unfortunate incident occurred and alert the U.S. Coast Guard in Florida. The Coast Guard began a search, but they have not located the man. The man has been identified as Inyoman Bagiada, 45, from Indosesia. He was working as a cook on board.